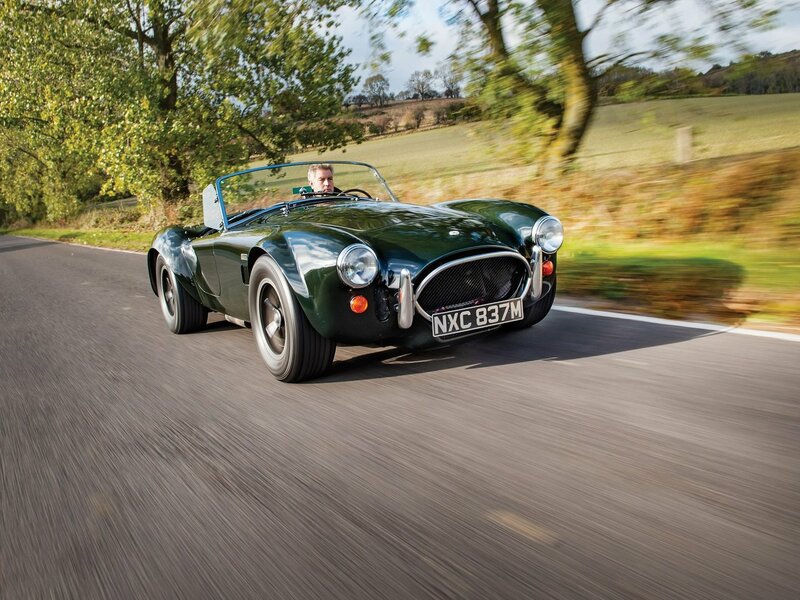 The Shelby Cobra or AC Cobra in Europe, is sports car produced since 1962. 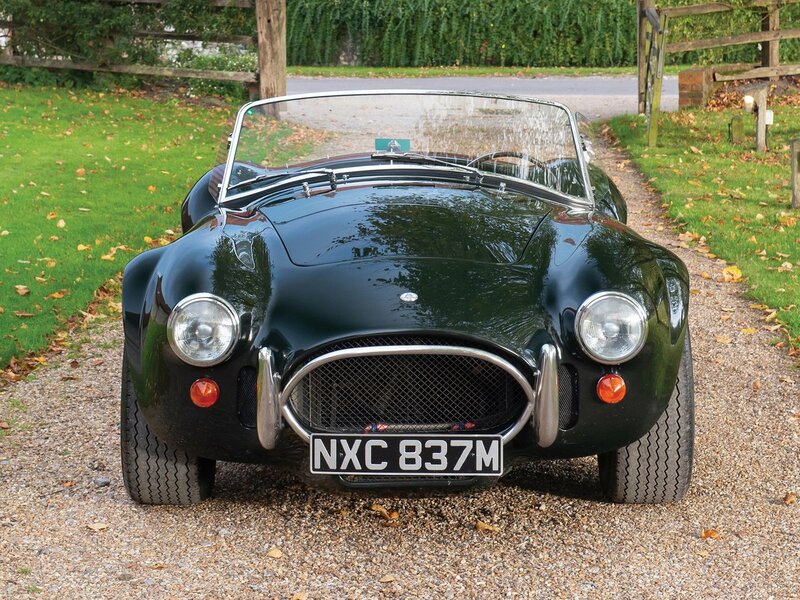 It was the idea of the Texan Carroll Shelby who had gone racing in Europe in the 50's and wanted a combination of a Ford V8 engine with a European chassis from AC Ace. 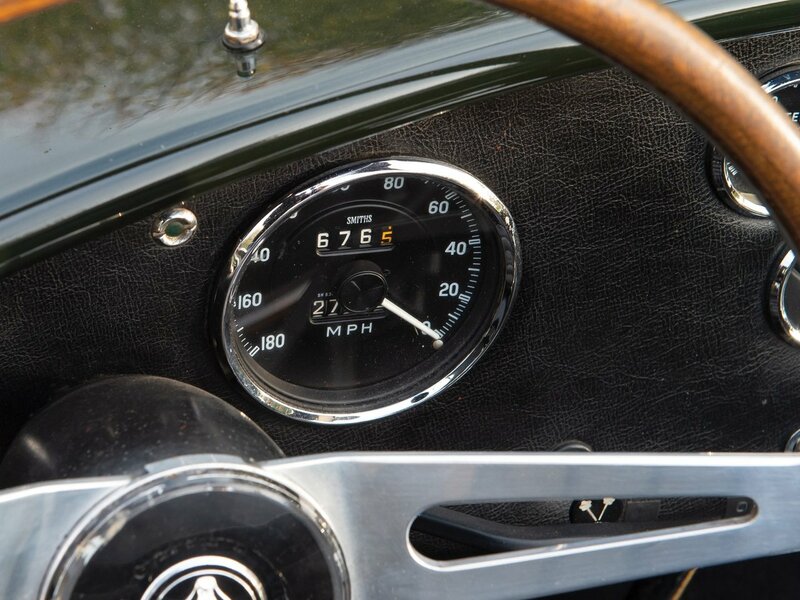 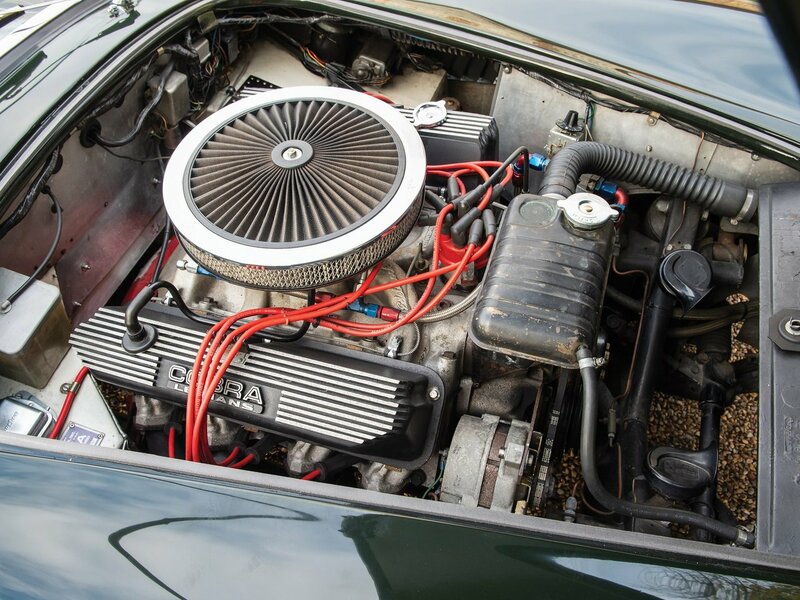 The first prototype was produced in 1962, AC Cars sent chassis without engine from England and the car was finished at the Shelby's facilities in California. 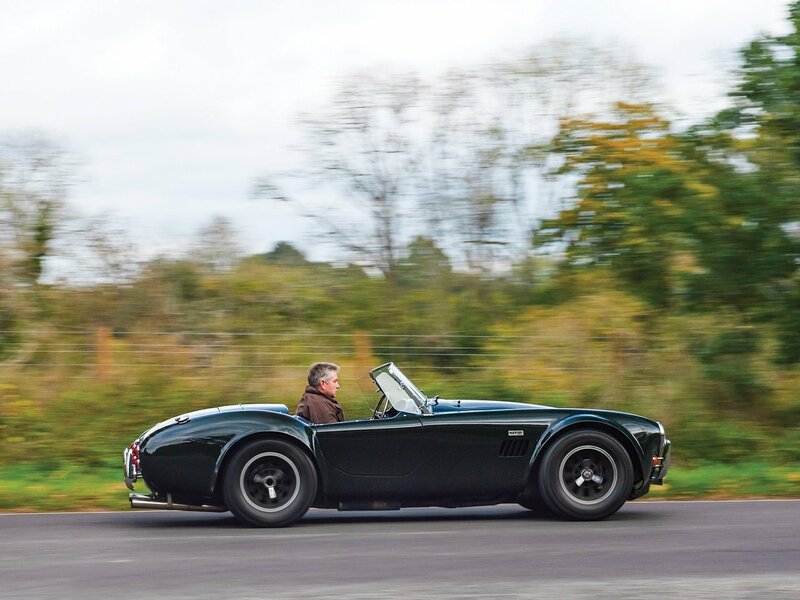 Carroll Shelby has a great team behind this project like Ken Miles (sports car racing engineer), Phil Remington (motorsports engineer), and Pete Brock (automotive designer). 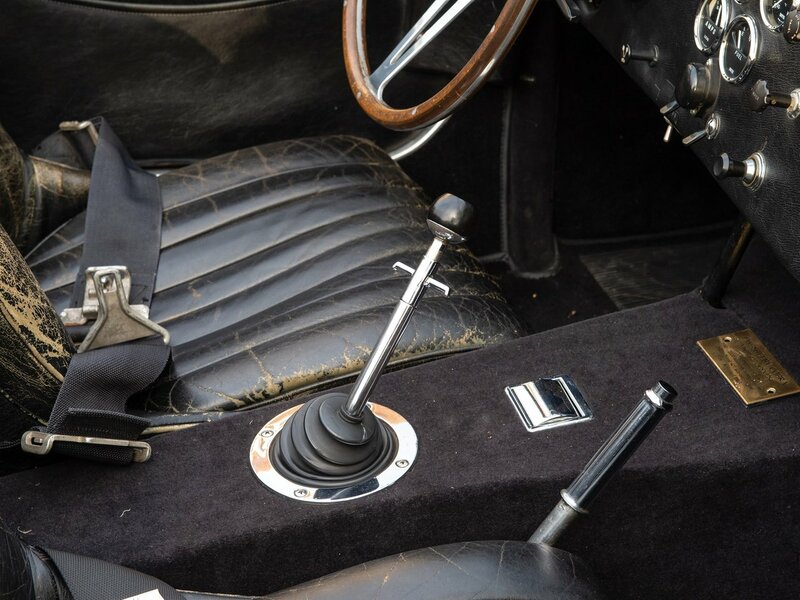 Great success with the victories at the Manufacturer's Championship consecutively in 1963, 1964, and 1965. 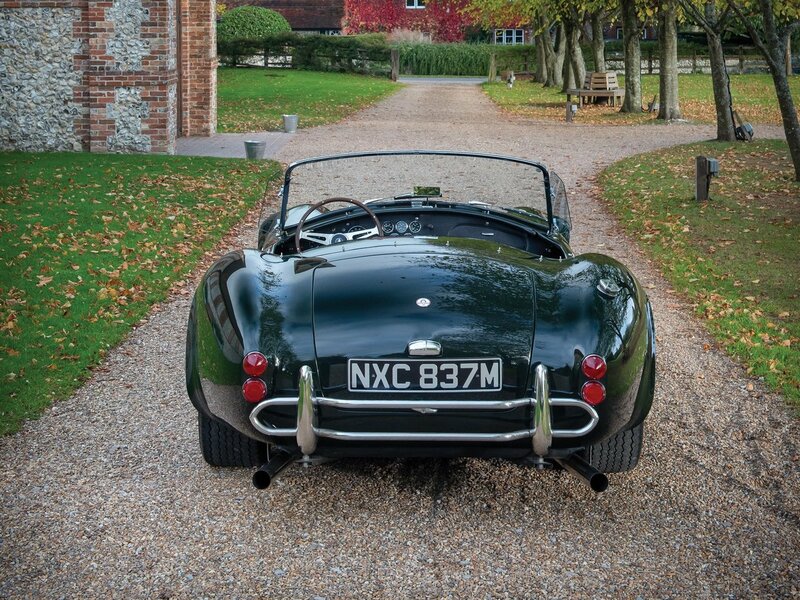 Huge success for the Cobra 427. 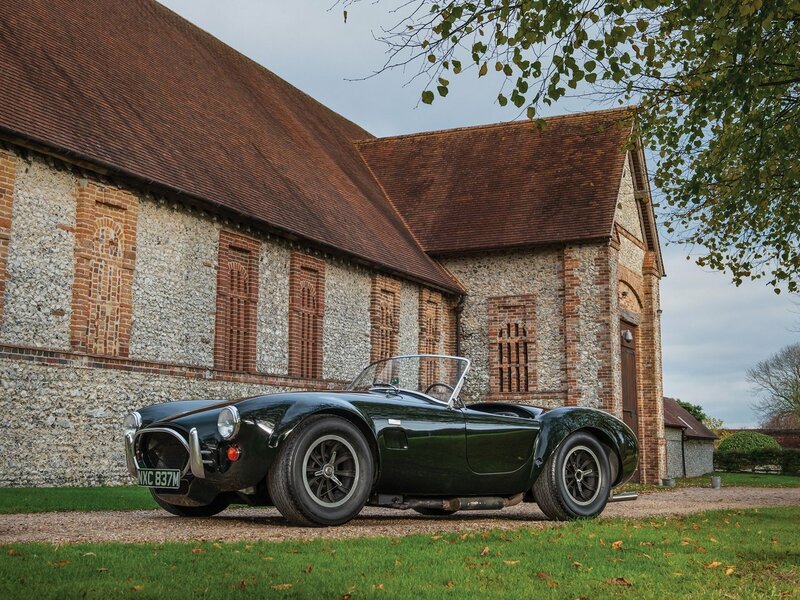 Caroll Shelby was losing money on every Cobra delivered with the side-oiler V-8 engine, he decided to substitute it with 428 cu Ford V8 engine, less expensive. 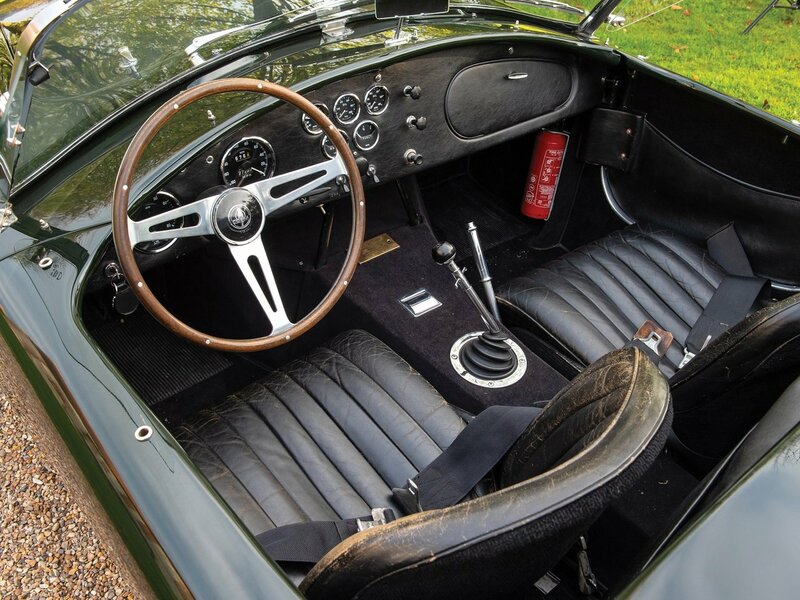 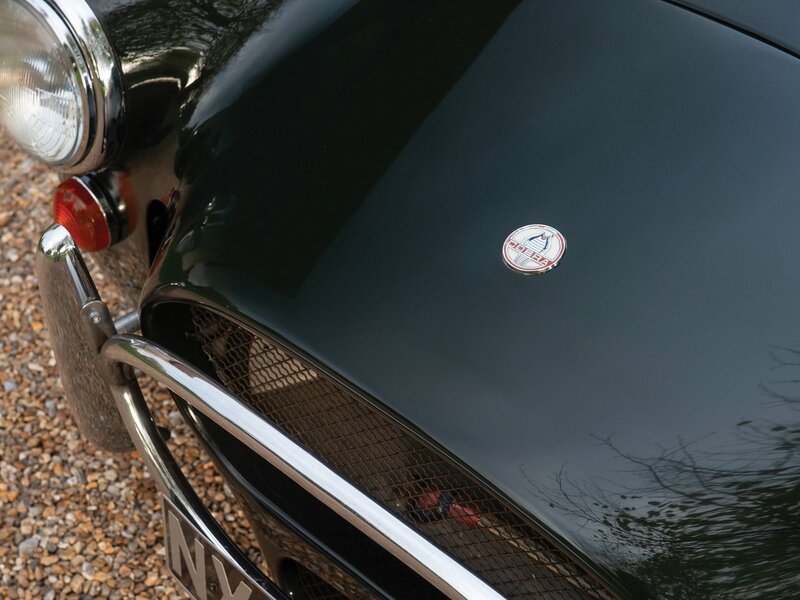 This model was finished in dark green with all its original features (correct seatbelts...).